This unique choral will breathe a breath of fresh air into your worship celebration. Beautiful imagery and fresh harmonies characterize this new piece that focuses on spiritual growth. 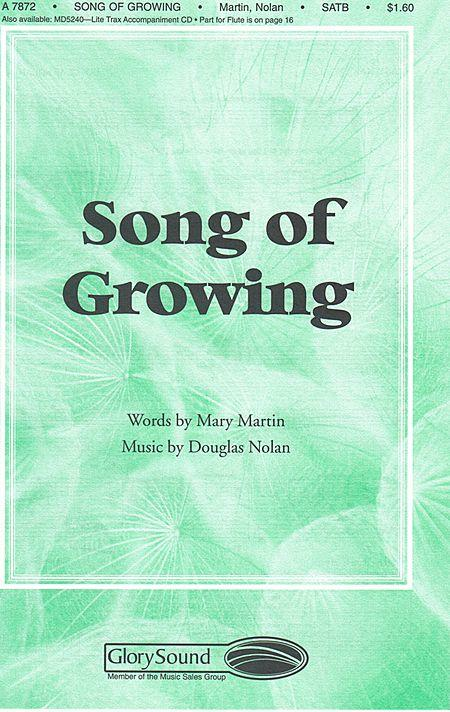 Good for graduation and confirmation observances, as well as general worship services, Song of Growing is a highly useful anthem. Accompaniment tracks available separately on Lite Trax 2004 Vol. 2 (MD5240).